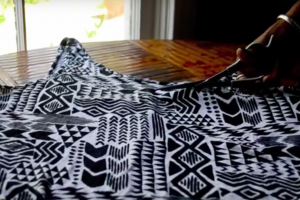 After She Chalks In This Shirt Design, She Really Makes It Pop! 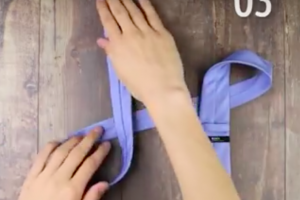 Learn How To Tie A Tie In TEN Seconds! 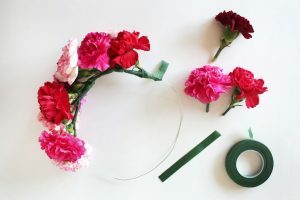 Flowers On A Wire Make An Accessory That Any Girl Will Love! 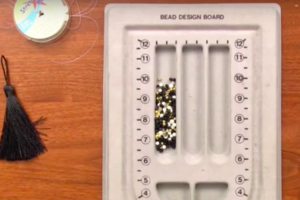 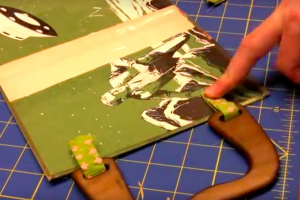 He Tore The Pages Out Of A Book And Attached Handles To It–What An Amazing Upcycle! 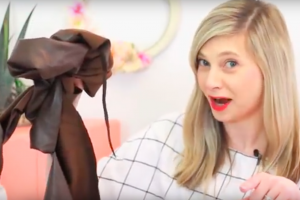 She Chops Her Dress In Half for A No-Sew Upcycle That Looks Amazing! 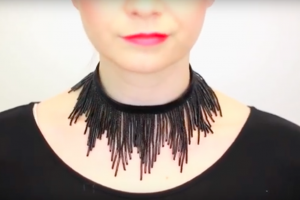 Find Out How To Make This Gorgeous 90’s Choker And A Couple Others, Too! 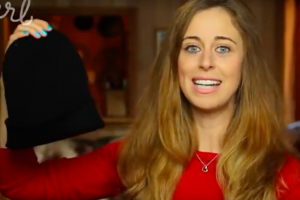 What She Does To This Plain Beanie Makes It One-Of-A-Kind!